Made from heat-resistant and BPA-free borosilicate glass, this 700ml glass bottle is ideal for storing your juice or taking it with you to work or the gym. The cap has an SU304 food-grade stainless steel stopper and silicone seal, with plastic threads which don't come into contact with the juice. Extra wide for stability, but not too big to fit in most cup holders, it is the most hygienic way to keep your juice fresh. 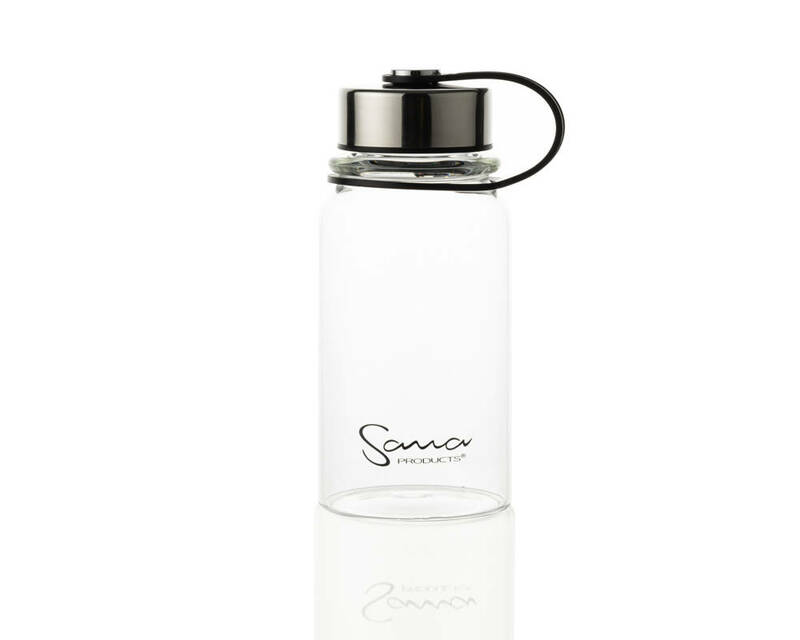 TOP QUALITY AND DESIGN - These bottles are made from thick, high quality borosilicate glass which is lead, cadmium, BPA and phthalates free. It keeps water, drinks, juices, smoothie, brew, coffee, tea, sauces, salad dressing, kombucha, kefir, fermented drinks etc. ready to go anytime, whether at home or on the go. 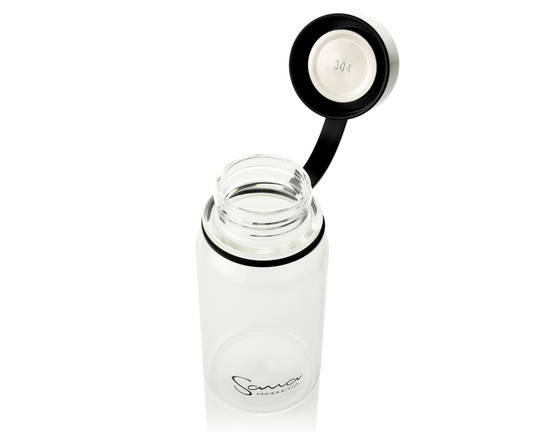 Each bottle comes with a leak proof, SU304 stainless steel cap with a food grade silicone O-ring for an air-tight, water-tight seal no matter how you place the bottle. SAFE TO USE - Healthy, eco-friendly alternative to plastic bottles. Odor and chemical free. No leeching of toxins or odors. Made of ultra clear soda lime glass, these bottles are non-permeable and have a low expansion rate, superior resistance to impact, and extreme temperature resistance. Easy to clean and dishwasher safe. Never worry about leaky messes in your car or bag again. Preserve the flavor of your drink, as oxygen can't get in to break down the enzymes or ruin your juices. EASY STORAGE - Can be used as juice containers, fermentation jars, kombucha / kefir starter kits, beverage or drink jugs for everyday use, with a sturdy design perfectly suitable for storage inside a refrigerator and most cars' cup holders. Great substitutes for epica, estillo, miu, chefs, evenflo, camelback, pratico, aquasana glass bottles. 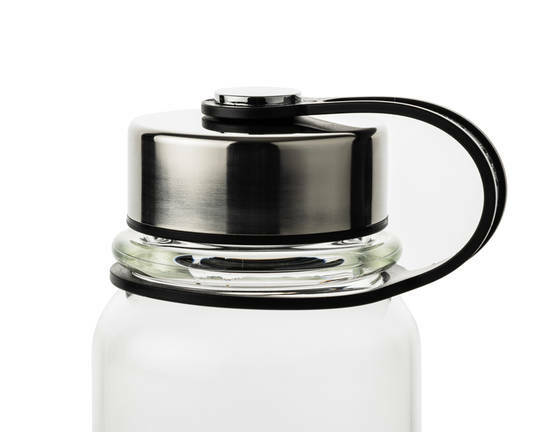 TAKE IT EVERYWHERE - Our borosilicate bottle is perfect for storing drinking water, juices, smoothies, or as an air-tight jar for cooking sauces/ingredients. Use them for easy refrigerator organization, or take them with you to the gym, office, picnic, or wherever life takes you. Suitable for both hot or cold liquids!